As an employer you're responsible for paying SSP to employees who meet certain qualifying conditions. 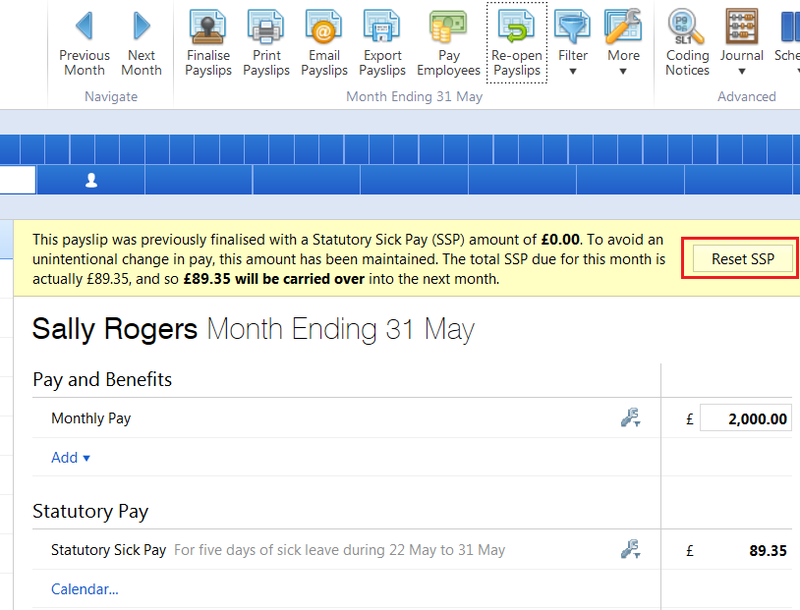 Employers may choose to opt out of fully operating the SSP Scheme in favour of their own Occupational Sick Pay scheme. SSP is only payable if there's a period of incapacity for work (PIW). This is a period of four or more days in a row when the employee can't work because they're sick or incapacitated. The days that make up a PIW don't need to be working days. If an employee normally works from Monday to Friday and they're sick on Friday, Saturday, Sunday and Monday - then that's a PIW. Similarly if they only work Tuesdays and Fridays but are sick on both of these days and also sick on Wednesday and Thursday then a PIW exists. 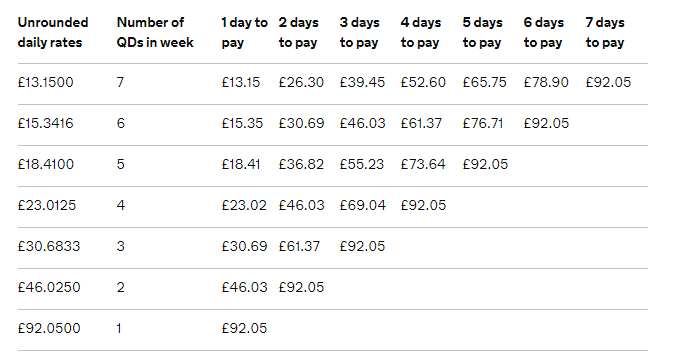 The first three qualifying days (days the employee normally works for you) of a PIW are called 'waiting days' and SSP isn't payable for these waiting days. SSP is payable from the first qualifying day after the three waiting days. However, if several PIWs are linked, the waiting days only apply to the first PIW. These are the employee’s contractual or normal working days. SSP is paid for each qualifying day after the waiting days. You can however decide not to use the contracted working days if, for example, your workforce operates a varied work pattern each week but for simplicity you may want to have the same days each week as the QDs. The calculation of an employee’s average weekly earnings for SSP purposes simply determines if the employee is entitled to SSP and not how much. In order to qualify for SSP an employee must have weekly average earnings of at least the LEL for NIC, which is currently £116.00 per week. The SSP reimbursement scheme known as the Percentage Threshold Scheme (PTS) was discontinued with effect from 06th April 2014. Click Sick Leave at the top right of the screen - the number of Qualifying Days, Waiting Days & SSP days will be displayed on the screen. 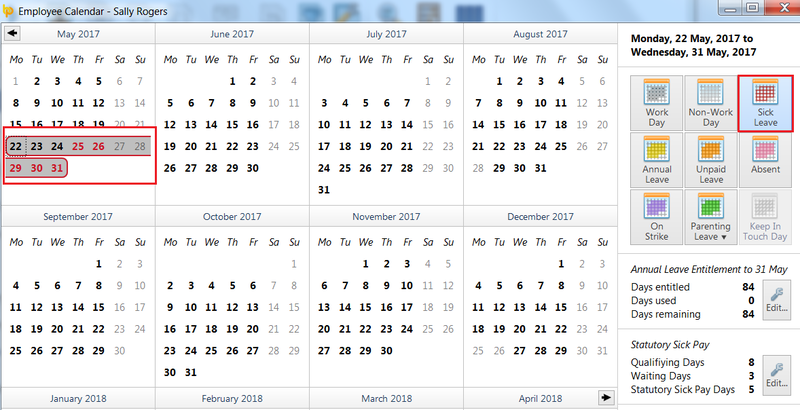 Close the Calendar and the program will automatically apply any SSP due to the employee. 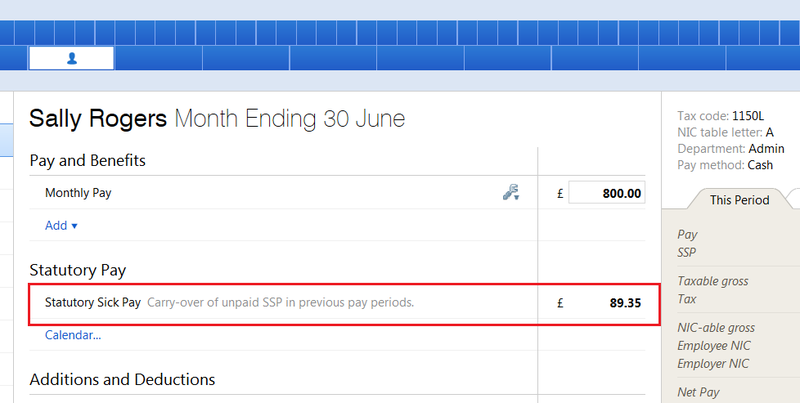 In the event that a payroll operator is notified of an employee's sick leave status after the pay period in which it falls has been finalised, BrightPay facilitates a retrospective adjustment to be made to the employee's calendar record which will simply pay or refund any SSP difference in the following (or later) pay period. An employer may only inform their payroll bureau in November that an employee was sick in October, but the October payroll has already been run and the employee paid. A company pays their employees on the 25th of every month for month ending the 31st of the month. An employee is out on sick leave at the pay date but continues to be sick up until the 31st of the month. These subsequent sick days may not have been accounted for in this pay period if there was uncertainty on whether the employee would be able to return to work after the 25th. On the employee's Calendar, highlight or un-highlight the employee's sick days depending on the adjustment needed. BrightPay will then compare the total SSP that should have been paid in previous pay periods against the total SSP that was actually paid in previous pay periods, and will calculate the difference. This difference will then be added to the employee's current open payslip as an SSP carry-over or refund amount. In addition, any previous payslips which has had some or all of its SSP carried forward to a future pay period will show a yellow alert explaining what has happened and will reference the amount carried forward. Managing sick leave can be a challenge for every employer. It is essential that businesses find the balance between supporting those employees who are genuinely sick and minimising unnecessary absences in order to reduce costs. Guidance for employers on how to manage sickness absences can be found here.